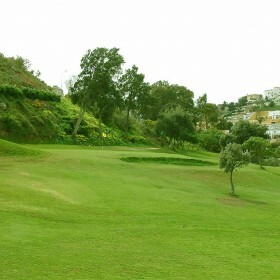 Golf Almerimar is a flat course, with wide fairways and wide greens. Opened in 1976, it was designed by Gary Player and Ron Kirby. 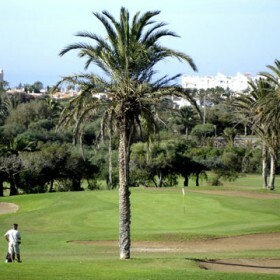 A beautiful spot due to the lakes and palm trees on the course, Almerimar Golf Club is attached to the AR Almerimar Hotel and is located 40 minutes from the Almeria airport. It was expanded to 27 holes in 2005. 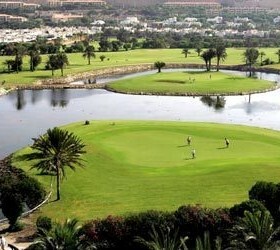 It has wide treed lined fairways and large greens which are maintained and fast to play on. There are water features at several holes. The 100 metre over the lake shot to reach the par 3 hole 12 is a real challenge. The lush vegetation affords a pleasant oasis-style feel to a round as the palm trees and lakes create spots of spectacular beauty. All 27 holes re-opened on 20 December 2007 after a complete refurbishment that started in 2005. Improvements include a new irrigation system, new lake at tee 1, tees and fairways have been improved, greens have been replaced and increased in size, bunkers have been renewed and some have been extended, new bunkers on holes 5 and 7, some tees have been elevated, all holes have been extended, the practice facilities have been improved. The golf course now comprises the restored 18 holes (Almerimar 1) from the original design and 9 extra holes (Almerimar 3) for shorter rounds. Almerimar 2 comprises parts of both Almerimar 1 and 3.